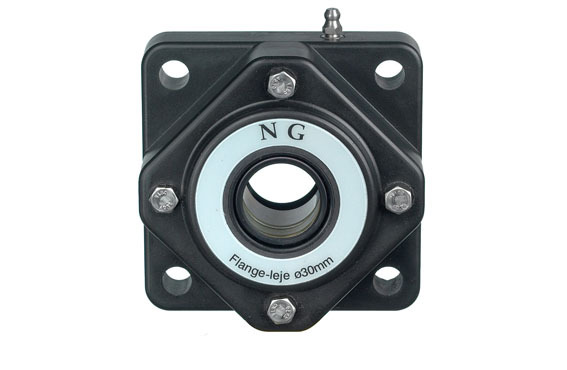 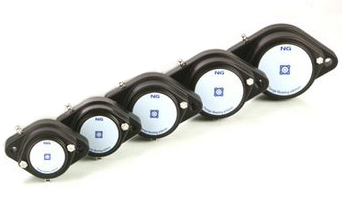 NG flange bearings with four mounting holes are very compact flange houses with the cover bolted on. 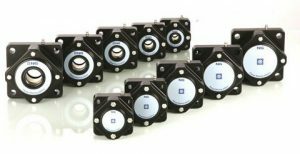 The flange housing is made of Baydur which is extremely sturdy, it is impact strenghtened and can be mounted in all angles. 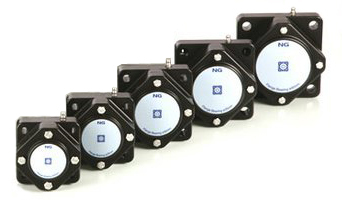 The flange housing is easy to clean with rounded corners and smooth surfaces. 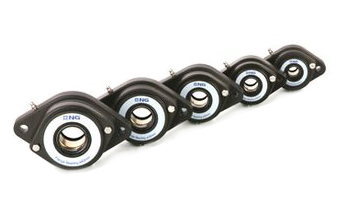 The flange housing is mounted with a spherical PE lifetime lubricated ball bearing with excentric locking collar, Corrotect treated to prevent setting on the shaft, oil seal ring with a stainless steel spring, ensuring that water can not penetrate the housing – even at direct hosing.